The Moto X4 was launched in India on Monday with 6 GB RAM. The device is available for customer from today at Flipkart and Moto center stores. In addition to RAM this Smartphone has not made any changes finished compare to old Moto X. Recently the company had released a teaser for Moto X4 with android 8.0 Oreo. The price of Moto X4 3GB RAM and 32G Internal memory variants is RS 20,990, as 4GB of RAM and 64GB of storage variants are offered for Rs 22,999. In addition, there is a running offer with latest variants of the Moto X4 which is applicable up to 2 Feb. You can also get benefits of Rs 1,500 for ICICI Bank Credit Card holders. Reduction of Rs 3,000 will be available under the swap offer at offline stores. Extra package offers are also being obtainable on behalf of Vodafone store which will also give 490 GB data on the recharge of Rs 199. The Moto X4 features includes 5.2-inch full-HD (1080×1920 pixels), LTPS IPS display through Corning Glass Protection. 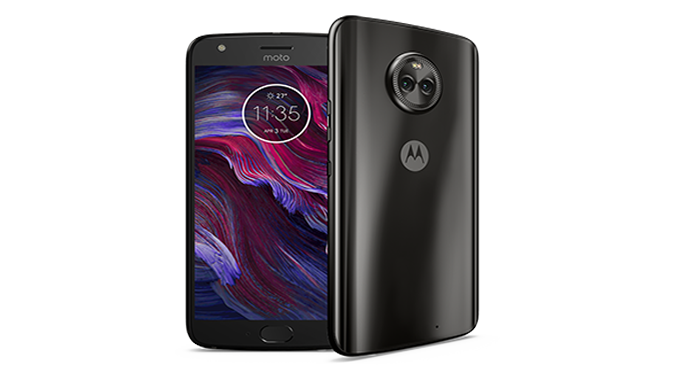 The Moto X4 has a 2.2 GHz Qualcomm Snapdragon 630 Octa-core Processor and has a turbo control option for quick charging. It has 64GB of internal memory with 4GB of RAM. There is also a Micro SD card hold up to 2TB For graphics, Adreno 508 GPU has been specified in it. Double camera setup has been provided in the Moto X4. In addition of the camera, the rear has a 12 megapixel camera with f / 2.0 aperture and 8 megapixel wide angle camera with f / 2.2 aperture. On the front there is a 16 megapixel selfie camera with f / 2.0 aperture. To make unique selfie it has low light mode, selfie panorama, face filter, beautification mode and professional mode. Moto X4 comes with 3000mAh battery with fast charging holder. According to the company it can be charged to run for 6 hours in just 15 minutes. It has NFC, Bluetooth 5.0, Wi-Fi 802.11ac (dual band, 2.4GHz and 5GHz), GPS, GLONASS, 4G LTE and FM radio bear. Through its newest Bluetooth characteristic, this Smartphone can be linked concurrently with four headphones or speakers.